Once upon a time the IT team at BHQ went out to lunch (a lunch to which I was inexplicably invited). One of the programmers suggested a sushi place called Tokyo, a little dive on Main Street in Lehi. It was the best sushi I’d ever eaten. In the years since that first visit I have been to Tokyo dozens of times and, with very few exceptions, the flavors and textures impressed me every time. While I wasn’t courageous enough to say anything on the spot I’ll say it here, online (because everyone is tough online). Call me a sushi snob if you want… The knife work on the nigiri was sloppy and each fell apart as it was lifted.The rolls were careless, the flavors diminished. This sushi burrito was barely edible (in fact I ended up just throwing half of it away). What I should have said was “This food is not up to the previous standard. This new stuff is mediocre. What happened?” I wasn’t at Tokyo to eat trendy sushi treats- I wanted the best damn sushi ever, like before (I know, I got the sushi burrito so some of this is definitely on me). 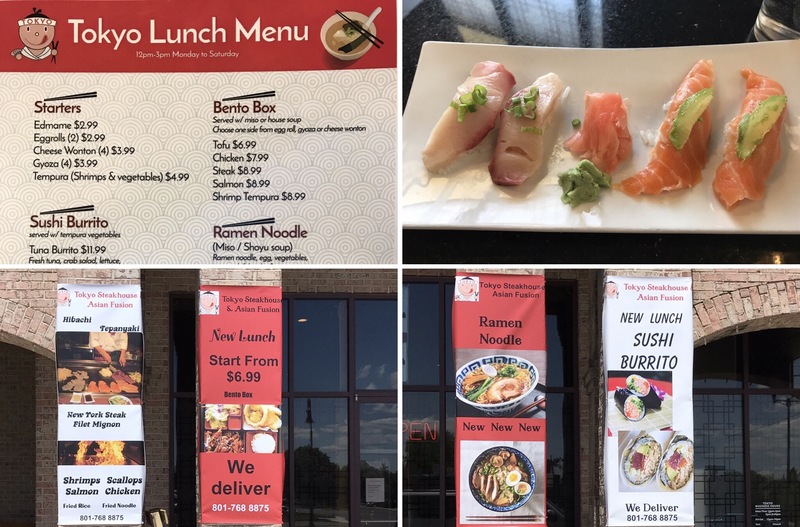 By no means am I suggesting anything akin to a boycott – the sushi was still okay. But I’m not after okay. I’m after exceptional. My wife, heartbroken by the loss of our good friend, Mr. “great sushi” Tokyo, endeavored to find a suitable replacement. 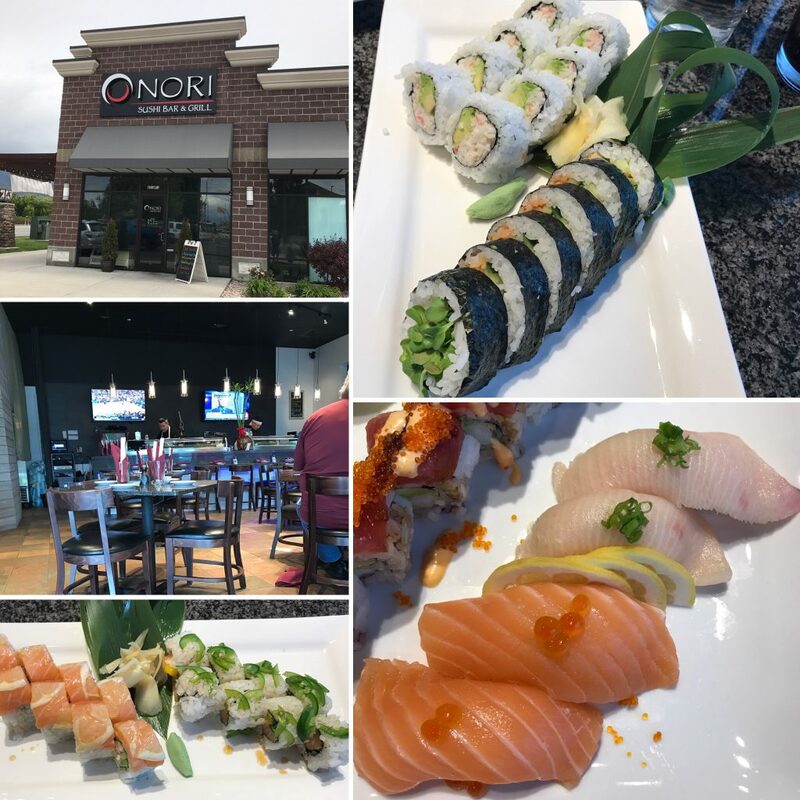 Her efforts led to a new sushi bar in American Fork called Nori. We gave it a try and came away pretty impressed. The rolls are well constructed with good texture, ingredient ratios and flavor. The nigiri was very good in all respects (also not pictured was some excellent miso soup). The setting is very pleasant- modern, yet traditional. While it’s not quite as good as what Tokyo was, it’s fantastic sushi and it will be my new go-to sushi stop for the foreseeable future. I’m fairly certain I’ve tried every sushi establishment in Utah County at this point but please feel free to make any recommendations that some to mind- maybe there’s something I’ve missed. I never thought I’d eat Sushi. I’ve tried it from time to time, but never really found it very palatable… until now. My sister in law recommended Won Won Wok in Saratoga Springs. So Fran and I went and checked it out. Great Chinese food. I took the guys at work back later the next next week and one of then Got a Sushi plate. I tried one- it was delicious. So next time I got some Sushi for myself. Amazing. And I’ve been in love with the Won Won Wok’s sushi ever since. I’m especially partial to the Spicy Tuna, Avocado and California Rolls. I even use chopsticks.